took this on Friday night just as I’d finished my work, the business has taken over my life now, and I’m struggling to keep up with a 365. Don’t really want to be doing phone shots at the last minute, as it isn’t helpful to my photography at all! Never mind. Will have to try harder to find decent day shots when I’m out and about. But its not easy when you’re on a tight schedule. 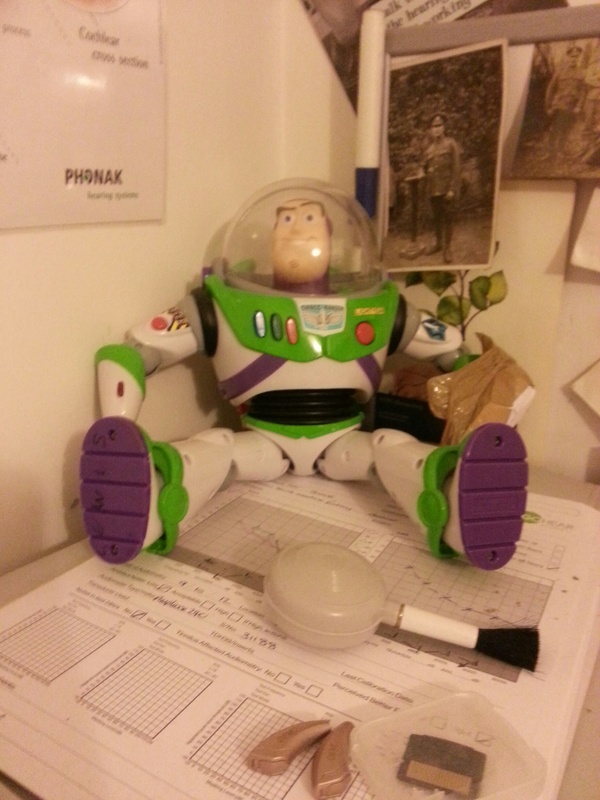 Posted in 365, photography, samsung galaxy, UncategorizedTagged 365, Buzz Lightyear, Hearing aids, office cornerBookmark the permalink. not easy but I feel the need to keep going! thanks Chris for the support.